Which storm do we live in? 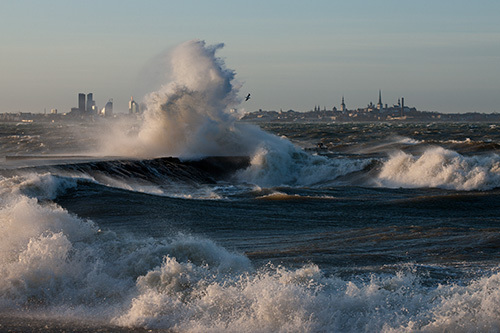 That was the situation in the Bay of Tallinn, seen from Merivälja. The north-westerly wind swept the evening sky clear, no signs of it weakening appear, 25 m/s in gusts, the night will be even tougher. All heat records have been beaten with yesterday; towards evening there were still six degrees of warmth.